The government is planning to block ABS Freedish DTH service in India. The Indian government is planning to block the signals from ABS freedish a free to air DTH service in India, but there are issues like the movement is not convenient. "The Interior Ministry said that ABS Freedish is running without an application to the Ministry of Information and Broadcasting and is not within the guidelines of the Ministry of Information and Broadcasting. Due to the National Security issue, the Ministry of Research and Development called the Department of Space (DOS) to block the signals of ABS in India. The move is unprecedented in India, while bundles of foreign satellites in the country have not been blocked. India has thousands of channels and satellite TV services in the country. While some of them use the satellites from the government of India such as INSAT and GSAT, other use satellites owned by private companies such as NSS and ITS. Technically, any company anywhere in the world can broadcast its TV channel to India using one of the dozens of TV satellites that fly across the country in space. So far, the government has simply ignored these transmissions. In some extreme cases, they banned these broadcasts, where it believes that the content of the TV channels could create problems of law and order. As such, Idia banned Saudi TV, Q TV, Peace TV, PTV, Geo TV etc in India. Some of the forbidden channels are owned and operated by companies in Pakistan, while others are owned by companies or governments in the Middle East. However, banning these TV channels did not stop all those people who wanted to see these television channels. The ban is simply for cable operators to prevent them carrying these television channels on their platform. As for the individual, the ban was of limited use, and it was very difficult to see if anyone was watching these channels or not. We do not know if someone who watches these channels with a satellite dish could be watched according to Indian law. ABS Freedish is a free to air DTH TV service and very much similar to the DD Freedish dth service. 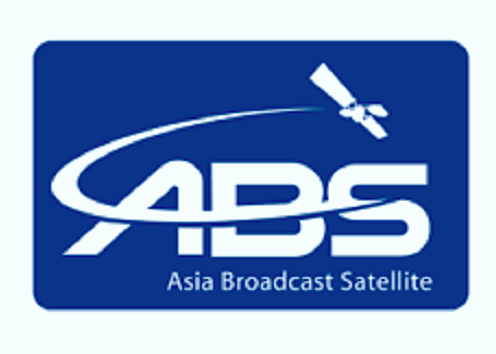 ABS freedish dth is using ABS 2 satellite located at 75 degrees East. The company distributes its DTH channels in free to air TV mode without encryption and has many popular Indian channels. ABS is making money from channel owners who distribute an annual fee for their content. Blocking the signal of ABS Free Dish in India can be difficult for the department of space because it would require very advanced technology. Instead, it could move to force the ABS to pay the Indian government DTH license rights and be licensed as an operator. If the ABS chooses not to pay the license fee, the government could force Indian channels, to stop the distribution of their content and stop paying money to the company. This would mean that the ABS would land with only foreign channels on its platform. ABS is the second free DTH services in India and is competing with Doordarshan Free Dish. However, the DD service has more than 100 channels, while the ABS that has only 70 to 80 channels. The ABS Free Dish signals can be received with a small KU band satellite dish and a MPEG-2 or MPEG-4 satellite TV receiver. A few days earlier, the company began the ABS-2A satellite operation, even at 75 degrees of this meridian, its total number of satellites is now 7.